The majority of the world is divided when it comes to the subject of cat or dog. There is in general only two camps, you love cats or you love dogs. The truth is though, there is no argument, dogs rule, they’re man’s best friend and as such everyone should have one. But why? Scientifically speaking there are lots of reasons that we all should have a dog. A lot of research has been done on this and the results are clear, dogs are incredibly beneficial to us in many ways. Every dog owner in the universe will tell you that snuggling up to their dog on the couch makes their heart happy and as it happens scientists agree! 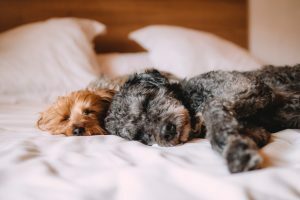 Recent research at the American Heart Association has shown that simply owning a dog can reduce the risk of cardiovascular disease. Even more impressively it is now believed that dogs can sniff out cancer. With a sense of smell at least one million times stronger than our dog’s have long since been used for things such as drug and bomb location. Now, however, they are being trained to distinguish the breath of someone with lung or breast cancer and someone without. They are also being trained to find the biomarkers that are present in prostate cancer patients. Just imagine the possibility that your dog could save your life by detecting cancer early enough to treat! Service dogs – dog’s can be trained to detect seizures, help around the home and even preempt allergic reactions. While all the above are fantastic reasons to have a dog there are far more that are not specifically health-related. The first is just the pure joy that a dog can bring to your life. 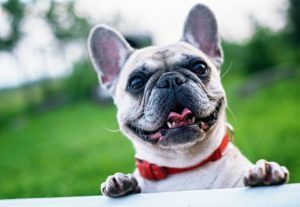 A dog is always pleased to see you and he will be the first to greet you at the door when you come home from a long day at work. He will also be the first to offer a hug when you are feeling down, dogs just seem to know when we aren’t quite ourselves and will always offer comfort. Dog’s can also be of incredible benefit to children. They act as protectors, best friends, and confidants. Surprisingly, children who have dogs tend to miss less school, strange but true! They also teach responsibility, dog’s can’t care for themselves and rely on us humans to do so. It is also believed that dogs can prevent children from suffering skin conditions and allergies. Dog’s are also incredibly loyal, one dog, in fact, was recorded as having traveled 2800 miles to get home to his human family after accidentally being abandoned. Your dog will always be there for you, even when others aren’t and it will travel thousands of miles to do it.Finally, get yourself a dog and you will never have a dull moment again. Be it the spirited mischief that a puppy can get into or the hijinx of a teenager! Even the older dog is fun to have around, they may slow down but they will never stop surprising you! One thing, however, that needs to be remembered when owning a dog is that we are responsible for the safety of that dog and the safety of others around the dog. For example, your child and your dog are playing in the garden when the dog for whatever reason runs out into the road with your child following. Not only is your beloved family pet now in danger but also your child. How do you prevent things like this happening? Well, you could invest in an underground dog fence! These work by burying a signal wire under the ground around the perimeter of your property. You can also put them round fish ponds and flower patches to prevent your dog from going in or near them. You then place a collar on your dog that works alongside the underground wire to prevent them leaving the garden. 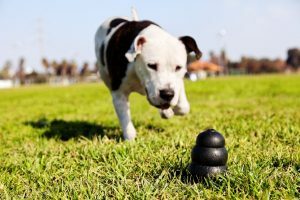 It does this by using a mild correction stimulus or an audio signal which the dog recognizes through training is a warning not to go any further. For those concerned, the stimulus or audio is not painful for the dog.